I vividly remember the day I drove by myself for the very first time. Most of us have either felt that feeling of freedom or we will soon discover it. The importance of this experience lies most in the type of vehicle I was driving. My first automobile was a 1996 Red Ford Ranger. I can promise you that not only did it have multiple shades of red and pink, but also there was not a single area of the entire truck that didn’t either have a ding, dent, scratch or was missing paint. That truck was at the very least, unique. When I first drove that truck to school, I remember wondering what my peers would think. Would they make fun of the truck? Would they make fun of me? What I soon realized was that it didn’t matter what anyone said about the truck as long as it accomplished its purpose. As young adults we often question where we fit in the societal norm, but in reality being unique and playing to those strengths are what help us succeed. We are all unique in our own ways, just like that red truck, and no one can deny the passions and qualities that define us. 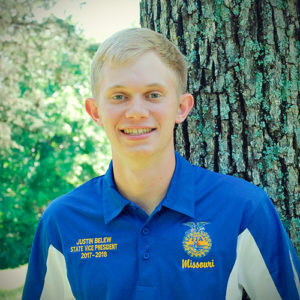 FFA members, face every challenge with the advantage of your exclusive skill set and be proud to embrace the weird quirks that make you human. From the moment we are born, we are asked the question, “What do you want to be when you grow up?” Throughout our lives this phrase seems to haunt us, whether we know the answer or not and becomes increasingly more difficult the older we get. As FFA members this choice becomes more urgent as ‘the real world’ comes into sight. I know for myself I didn’t realize I wanted to continue in a production agriculture lifestyle until my senior year of high school when I began to work more alongside my dad on the family farm. It is a-ok to not know your complete life path from the get-go, but it also never hurts to try new things that may spark a new passion. A good friend once told me, “Life is like driving down a country road at night, the headlights only shine so far.” As FFA members, we have endless opportunities within this organization to try something new. 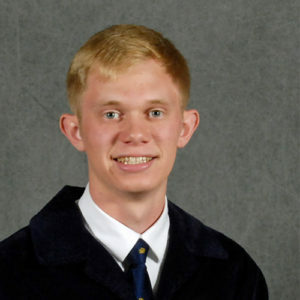 Whether that is presenting a speech for the first time, traveling to FFA camp during the summer or beginning an SAE, we all have the chance to create a spark that could make those headlights brighter. Branching out is a challenge in itself, but the result could help you discover what you want to do for the remainder of your life. FFA members, I challenge you to do something you have never done before, because you never know the passion it may spark.